I was invited in the Second Language Acquisition Wokshop Podcast to talk about my experience learning and teaching languages. If you don’t know this podcast, it’s normal since it’s quite new. But I really recommend it to you if you want to know more about how we learn languages and how we can become better language learners and teachers. This podcast is not like other podcasts where we share briefly our experience, annecdotes, advice to help other people who are learning languages like us. Of course that’s interesting. But the SLA Workshop Podcast is much more than that. 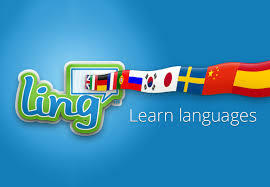 Its creator and host, Joel E. Zarate, is of course a language learner, someone who really loves learning other languages and who can speak several languages, but Joel is also a very knowledgeable and experienced language teacher, with M.A. in TESOL and in Spanish. Joel has studied how we acquire languages, he knows the research in that field and he has been teaching for many years so he has a lot of experience on how we can help students effectively. In his Podcast, Joel wants to cover relevant, consistent and useful elements in the field of SLA. He shares with us the research available to give us a foundation to use better strategies, better approaches and a better understanding of the process of learning a language. He also wants to invite professors who specialized on SLA and polyglots who can share their experience and strategies that they have used to learn languages. I have to say that Joel is a friend and a mentor to me. He is always willing to help me and gives me very good advice about the resources I’m creating. In fact, I don’t even know if I would have started a Youtube Channel if it wasn’t for him. I didn’t even think I could do something similar and Joel gave me the courage I needed to start. As a language learner and teacher and someone who has studied Second Language Acuisition, I really love listening to this podcast, and I’m always looking forward to the next episode. So of course, it was a great honor for me to have the opportunity to share my experience in two episodes of the podcast. I share here with you the English interview, but there’s also a French interview you can listen to on my French site. Part of the interview is similar but I felt more confident in French and I could develop some ideas and add new elements I didn’t say in the English interview. Making the whole interview in English was a big challenge for me because even though I’m fluent in English I don’t use it that much and only in casual conversations. Here, I had to say and explain very precise ideas and elements I’m not used to express in English. I hope you’ll enjoy it. There were some connexion issues at the end of the interview but most of what I say can be understood. I’ll write down some of the sentences that may not be so clear.